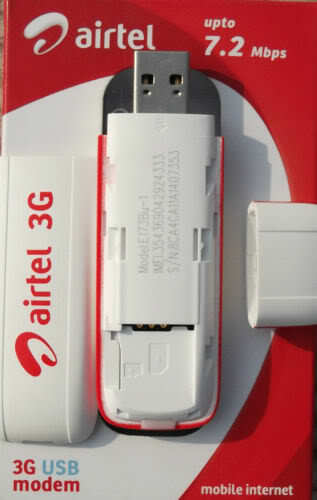 Airtel 3g Dongle E1731 comes with a lock, you can only run Airtel Sim with that. But if you want to run any other sim you need to unlock Airtel 3G dongle. The trick to unlock Huawei E1731 Airtel 3G dongle is very simple. Here in this post i will tell you How to Unlock Airtel 3G Dongle or unlock Huawei E1731 Data Card to use it with any sim card. And also provide you Airtel E1731 firmware, Airtel E1731 data card software, Airtel E1731 settings and other solutions. This E1731 Airtel dongle is manufactured by Huawei specially for Airtel with Sim lock. That is you can only run Airtel sim on that modem. But you can unlock Huawei E1731 Usb modem in 5 minutes and can run any GSM sim like Aircel, Reliance, Idea or Vodafone and other operator. So lets look How to unlock Airtel E1731 Data Card. To unlock Airtel E1731 modem, you need to download these tools and software. 2. Download Airtel E1731 Firmware (E1731 Firmware Update). 1. First Install the Airtel Dashboard that comes with the Data card. 2. Now close the Dashboard after disconnecting the internet. 3. Now Run the Downloaded Firmware as a Administrator. It will take some time to search and detect device connected to pc. 4. When search is complete it will show the IMEI code, note that in Notepad. 5. Now Run Universal Master Code. And enter your IMEI number. Then Click on Calculate. It will Generate to codes, one is unlock and another one is Flash Code. Note down the Flash Code. 6. Now close the code generator and click next in firmware upgrade wizard. Read the warning carefully and make sure that you did not remove the datacard between the process as it may lead to corrupt your data card. 7. Now click on Start, Now it will ask you the unlock code and flash code. Wait for some time until updating process get completed. when the update process get complete you will get the success message. Click on OK and Finish. Yoo! you have successfully unlocked your Airtel E1731 data card. 8. Now open the airtel Dashboard, and before you connect internet . You need to set the APN. Just Go to Tools>>Option>> Profile Management and now enter the APN Settings according to your data carrier. After this you can run any GSM mobile carrier in Airte dongle. You can run Aircel, Vodafone , Idea, Reliance, BSNL and other operator on this Airtel 3G Dongle or Huawei E1731 data card. Fo APN Settings of different operator, you can either use the APN Settings tools or check out my another post on APN settings of Airtel, Aircel, IDEA, Reliance and BSNL. I will soon upload a video to describe How to unlock Airtel 3G Dongle, until that if you had any problem in unlocking Airtel USB modem or Unlocking Airtel E1731 data card. you can ask it in comments. How to unlock Airtel 4G MMX44L ? it is not asking me a universal master code…what to do?? ?